We are at #8 with a few days to spare so I am confident we will make it to #10. My mom got me loving these cookies. Every time I see her she buys me the Entenmanns version which she knows I like. So I went and bought myself a Madeline pan and found a recipe at whatscookingamerica.net. They called for browning the butter which I thought might give it a nice flavor. 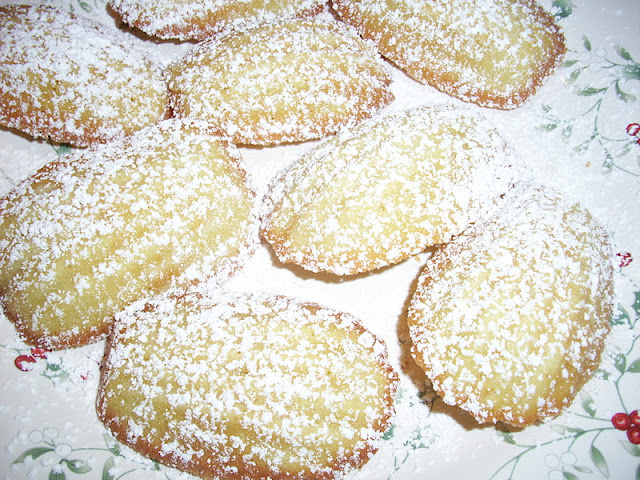 They were very easy to make and I was originally going to dip the bottom in chocolate but they have a lemony flavor from the zest in the recipe so I thought it better to just sprinkle them with powdered sugar. Preheat oven to 350. Position rack in center of the oven. In a small saucepan over medium heat, melt the butter. 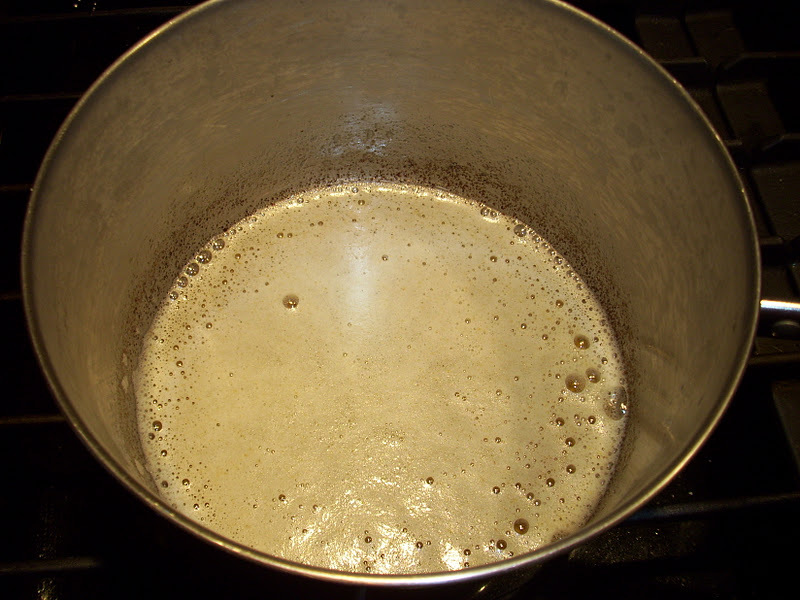 Continue to cook until the butter is very light golden brown and fragrant, approximately 4-5 minutes. Remove from heat and let cool to room temperature. Generously butter the Madeline pan and dust with a little flour. Invert pan and tap out any excess flour. 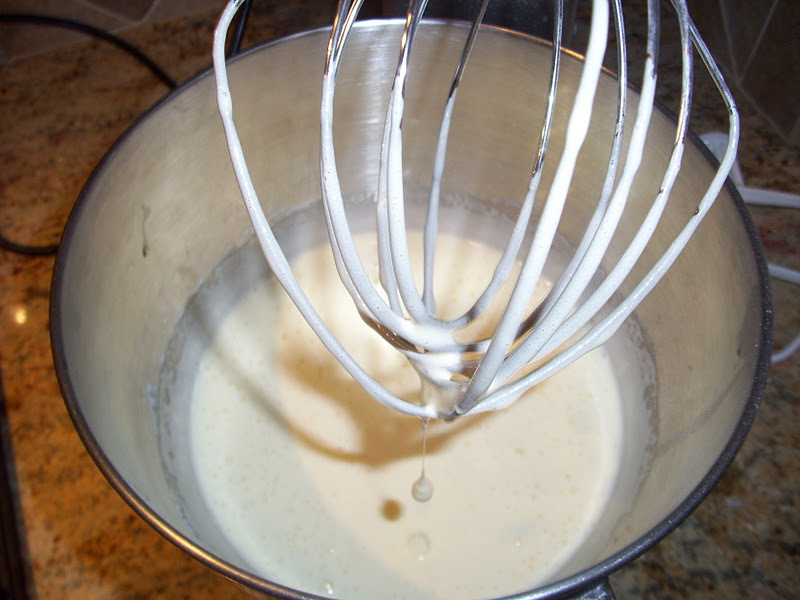 In the bowl of an electric mixer, place the eggs and a pinch of salt. 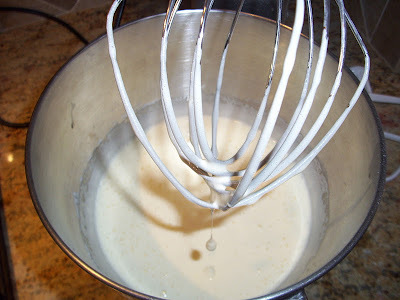 Whip on high speed until thick, approximately 3 minutes. Continuing to mix on high speed slowly add the sugar in a steady stream until mixture is thick and foamy. Decrease to low speed and add the lemon zest and vanilla extract and turn off when just mixed in. By hand, fold in 1/3 of the flour into the batter, followed by 1/3 of the melted butter. 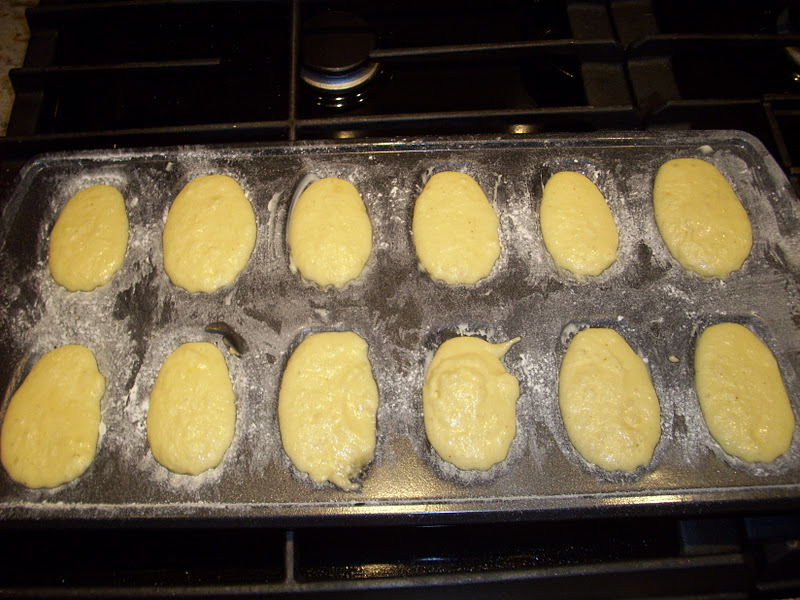 Continue folding the remaining flour and butter, 1/2 at a time into the batter. Spoon the prepared batter into the prepare pan, filling them 2/3 to 3/4 full. Bake for about 9 to 11 minutes until the edges are golden brown and the centers spring back when lightly touched. Over baking will make them dry. Remove from the oven and unmold immediately to a wire rack to cool. When ready to serve sprinkle with powdered sugar.